I have a feeling that before long my nails will be lacquered up with various shades of pastel, so to end the winter season, I went with green. I love this color by China Glaze that came out a while back (like maybe two years ago even). 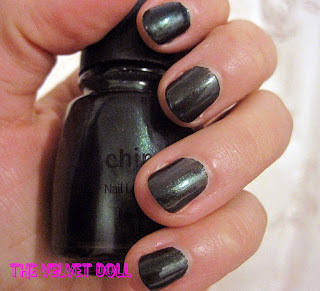 This color is green and shimmery and looks very classy on, which is not easy to do with green polish.